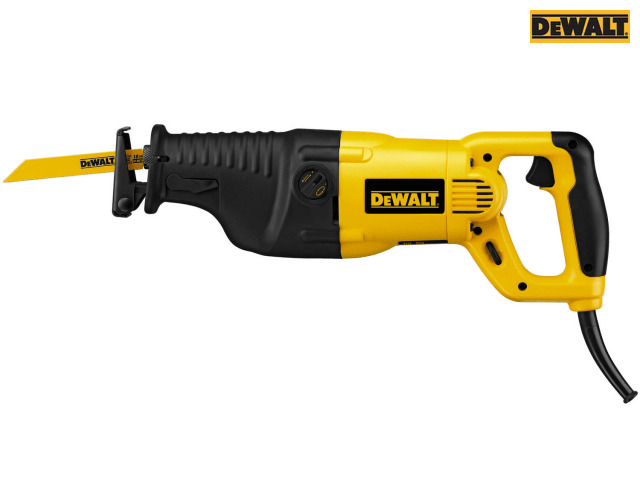 DEWALT DW311KL Reciprocating Saw Orbital Action has a 1200 Watt motor for heavy-duty applications, variable speed,keyless stainless steel blade change, keyless adjustable shoe easily adjusts the depth of cut and 0-2,600 strokes per minute and a 28 mm stroke length for fast cutting. Applications: Cutting steel pipes, aerated concrete blocks, pallets with nails in, plunge cutting, pipes and metal sections and ideal for pruning trees/fire wood. Comes with 2 professional bi-metal blades, and a heavy-duty carrying case. Strokes at No Load: 0-2,600/min. Capacity: Wood: 300mm, Pipe: 130mm, PVC: 160mm. 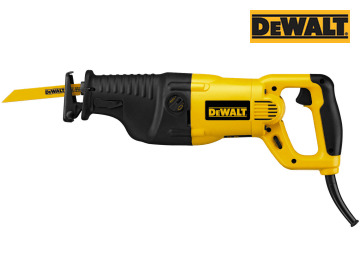 DEWALT DW311KL Reciprocating Saw Orbital Action 110 Volt Version.